Boston Haven Marina. Picture courtesy of Shutterstock.com / CL-Medien. The 2.5 mile Freedom Trail goes through downtown Boston Picture courtesy of Shutterstock.com / aphotostory. The famed lobster roll at Luke's Lobster. Picture courtesy of Facebook.com / LukesLobster. An aerial view of the world-renowned university. Picture courtesy of Shutterstock.com / Jason Sohm. 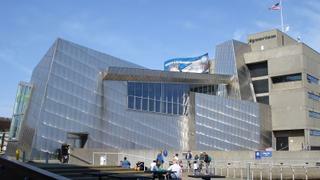 The New England Aquarium is a key visitor attraction in Boston. Picture courtesy of Shutterstock.com / Marcos Carvalho. 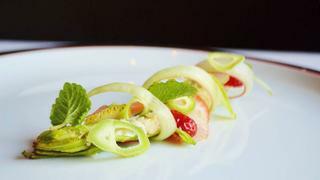 L'Espalier incorporates local, fresh ingredients from New England. Picture courtesy of Facebook.com / lespalierboston. If you’re travelling from Washington DC to New York City, you may as well extend your trip to visit Boston. 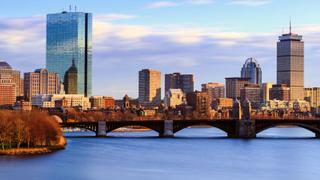 The capital of Massachusetts is steeped in history and culture, making it a perfect stateside stopover. Olivia Michel looks at the best spots in which to enjoy the idyllic waterfront city and its revolutionary past. 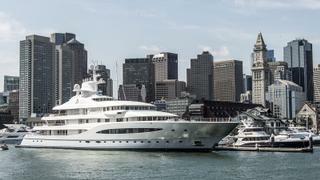 Anchor at the conveniently located Boston Yacht Haven marina, which accommodates superyachts up to 91 metres. Disembark and make your way towards the Four Seasons Hotel Boson where you can enjoy a hearty breakfast at the Bristol Lounge. 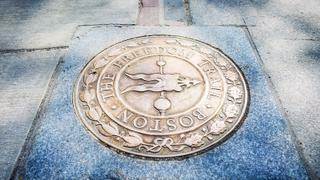 Located on Boston Common, the Four Seasons marks the start of the Freedom Trail. Follow the Freedom Trail for a history fuelled tour in which you can learn more about Boston’s involvement in the American Revolutionary War. Along the way, you'll find the old marketplace, Faneuil Hall, and the USS Constitution. Spend as long, or as little as you like on the trail – where you choose to stop and explore is entirely up to you. Pause for a low-key lunch at Luke’s Lobster. 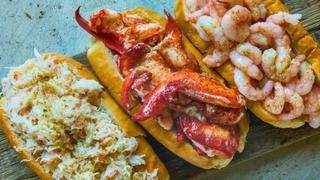 The Back Bay shack may seem unsuspecting, but it’s home to some of the most delicious Lobster rolls. These typical New England snacks are bursting with flavour and will keep you charged until dinner time. Make sure to try the snow crab roll too. 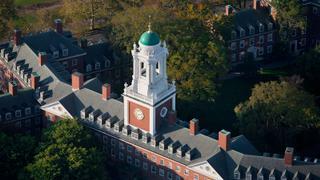 Just a 20-minute car ride from the Back Bay area is the picturesque campus of Harvard University. Spend some time exploring the redbrick buildings and perfectly manicured lawns of one of the top colleges in the country, which boasts some very famous alumni (and dropouts). Head back from Cambridge and finish any bits of the freedom trail you couldn’t manage in the morning. Alternatively, discover the delights of the New England Aquarium, a global pioneer in ocean exploration and marine conservation. Enjoy a delicious French-inspired dinner at L’Espalier. The delectable five to eight course tasting menus are created using only the finest and freshest local ingredients. If you're not quite ready to go back on board, wrap up the night with a tipple at The Hawthorne. 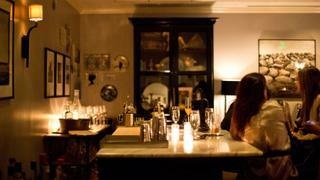 Named after New England’s famous novelist, Nathaniel Hawthorne, the bar specialises in quirky cocktails, such as the Spitfire – a concoction of tequila, chilli-infused Aperol, cinnamon and grapefruit.